Ecology Action is a Santa Cruz, CA nonprofit environmental consultancy delivering cutting edge education services, technical assistance, and program implementation for initiatives that assist individuals, business and government to maximize environmental quality and community well being. Since 1970 Ecology Action has combined municipal, foundation, and private funding to establish cutting-edge conservation programs, prove their effectiveness financially and operationally, and establish each program as a permanent community resource. They seek innovative ways to instill environmental awareness, promote pragmatic change, and create opportunities for individuals, businesses, and community agencies to save money, create jobs, and contribute to a sustainable local economy. Promotes safe bicycling through fun, hands-on education programs at Santa Cruz County schools. Provides incentives, free breakfast, and support to get you hooked on bicycling as transportation. Waste assessment software to help government and businesses reduce waste, save money, and promote resource conservation. A leadership initiative to mobilize the entire Monterey Bay Area to radically reduce our carbon footprint. Providing reduced prices, safety and skill training, and increased service for Santa Cruz County residents. Providing reduced prices on folding bikes and bus passes to promote bike with bus transportation for Santa Cruz County residents. Choose an alternative to driving alone and you can make a difference in reducing traffic congestion and greenhouse gases. For Cabrillo College students, staff and faculty members. Information about the design and construction of healthy, sustainable places to live and work. Offers free technical and promotional assistance to help you become a certified green business. Provides professional training and certification in ecological landscaping and helps customers find certified Green Gardeners. 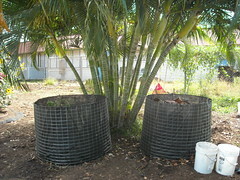 Offers a wealth of home composting resources and opportunities for the residents of Santa Cruz County. Provides information about local and regional drop-off facilities and alternatives to traditionally used chemicals. Provides information and technical assistance about less-toxic alternatives to traditional pest management. Provides technical assistance and cost share dollars for manure and land management approaches that protect water quality. Delivers a comprehensive suite of rebated energy efficiency retrofits to Lodging Properties in PG&E service territory. Reduces pest problems, flooding and erosion, and the use of toxic chemicals in schools. A partnership with twelve local agencies and haulers, implementing comprehensive recycling and waste reduction programs at low income multifamily housing complexes. Provides information about local and regional used oil and filter drop-off facilities for cars, boats, and farm equipment. Raises public awareness about alternatives to using hazardous pesticide and fertilizer products in and around the home. Provides information that enables people and businesses to reuse, recycle, and buy recycled in Santa Cruz County. Offers recycling and waste reduction programs at events through technical assistance, outreach and education. Provides subsidized lighting upgrades and free professional assistance to help businesses lower energy bills and boost cash flow. Encourages member employees to use other ways than driving alone to commute to and from work. Assists Santa Cruz County schools in institutionalizing campus recycling, composting and reduce / reuse programs. Wonder what happens to your recycled items? The Tour de Trash, is an inspiring and educational voyage by bus to major recycling facilities across Maui. The tour includes some walking and even some smelly places. At the request of South Maui Sustainability, the County of Maui Solid Waste Division created a Tour de Trash starting in South Maui and including new locations not on the Central Maui based Tour. 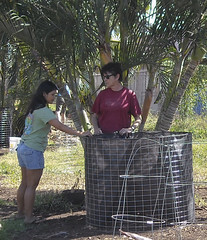 Included were Central Maui Landfill, Pacific Biodiesel, Maui Earth Compost and SOS Metals Recycling, among others. A group of us spent a most enjoyable day learning a lot about what happens with the things in our waste stream. We ended up being shown around the Fairmont Kea Lani by the head of their Green Team and being impressed by some of the things they are doing. Find out more about their program here. All in all, it was a very inspiring day and a lot of good ideas leading to new projects for South Maui Sustainability should come out of the experience. See photos of the tour.